Let go of everything that negatively effects your life. The people, the places, ALL of it. I have talked about this topic before… because you all know how much I love to preach the positive lifestyle, but I let some negativity in recently, and I have to tell you, the reminder to STOP and take a step back helped me so much. So much so, that I wondered how often it is that we find ourselves going down the rabbit hole and before we know it, we’re body deep, and are struggling to regain our footing. So what happened? We all have those few people in our lives that bring us anxiety or stress, OR they serve as triggers to specific instances in our lives that brought stress, anxiety, negativity, pain, etc etc etc. When I was in the presence of one of these people recently, they did the same thing they always do– they minimized and put down something positive and exciting that I shared, to justify their opposite, negative view. UGH. I spent the next hour thinking: WHAT A JERK!!!!!!!!!! SOME PEOPLE NEVER CHANGE!! 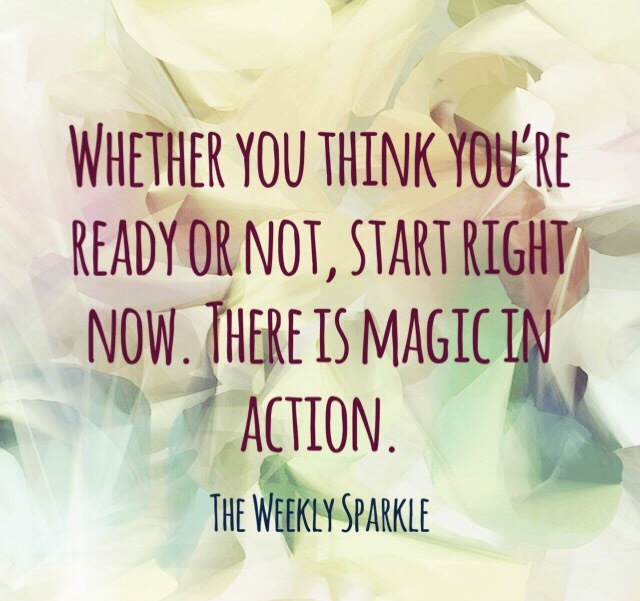 (Of course this was inside my head– I’ve learned to keep thoughts like that to myself, esp. in an initial response). This has nothing to do with you. Any negative comments or energy from that person is THEIRS- there is no need for me to take it on as mine. So here I am… some time after this happened, and while I’m proud I was able to talk myself through it, I thought it was important to share. Negative people, places and instances are all around us. Our biggest, strongest weapon against negativity in our lives is our own ability to look it in the face and see it for what it is. And when you can do that, and you no longer feed it, you can let it go. All of it. It’s certainly a work in progress, but I’m committed to letting go of and eliminating as much negative from my day to day as possible. When you let the negative in, you decrease the room for light, happiness, growth and my favorite (you already know), positivity. 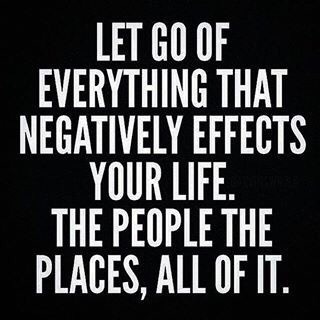 What negativity are you trying to let go of in your life? Are they people, places, both? I’d love to hear your thoughts. Ahhhh, this. What I love about this thought is that it’s applicable to almost any goal, dream or action you want to take in your life. If you want to re-enroll in school, start working out, get back on the dating scene, try that new hobby… there is always tomorrow, but why not start RIGHT NOW… if because you can! I’m going to get a little more personal here, because that’s what this blog has always been about- being open and honest about my own feelings and sharing what I think will be helpful for others who may be thinking or experiencing similar situations in their own life. In order to explain fully, we need to take a quick step back to tie this all together. Over the last year and a half, I’ve been enjoying everything that being a newly wed has to offer, from moving in together (no, we did not live together beforehand… no crazy reason why, we just thought it would be fun to wait to move in- feel free to ask more about this if interested), spending a lot of quality time together, to adopting our beautiful rescue, Luna, and lastly, buying a new home! It’s been a fun (at times, crazy/difficult/stressful) year, but it has been nothing short of incredible when spending it with my person- my husband, Joe. And while we’ve learned a lot over the last year and have had some amazing times, in our discussions lately, we realized something was missing (no, not a baby (yet), slow down). In the midst of binge-watching our favorite shows, going out to eat all the time and enjoying life to the fullest, we began letting our fitness and health take a back seat. Who is Maxx Fitness and why is he hitting my bank account each month? Friends in a relationship, let me tell you- when your partner (or even a good friend) JOIN YOU in your fitness journey, life is SO MUCH EASIER than if you did it alone. As an extroverted person, I am motivated by others and the environment around me, so going to the gym, and with a partner, are key to me sticking with any program or routine I want to start. Beginning this week, my husband and I have began eating a little bit better and headed back to the gym (What’s up, Maxx!) This is exciting to me, because I obviously want to feel healthy for myself, but I also want to feel good and take all the positivity that a healthy lifestyle can bring, into my marriage. If you’re not in a relationship or don’t have have a close friend to join you on your journey, YOU HAVE ONE in me! Send me a message and I’d be happy to chat and share motivation with you! So this is my journey on “Starting Now” and putting action into something I want. What’s your journey leading you toward? 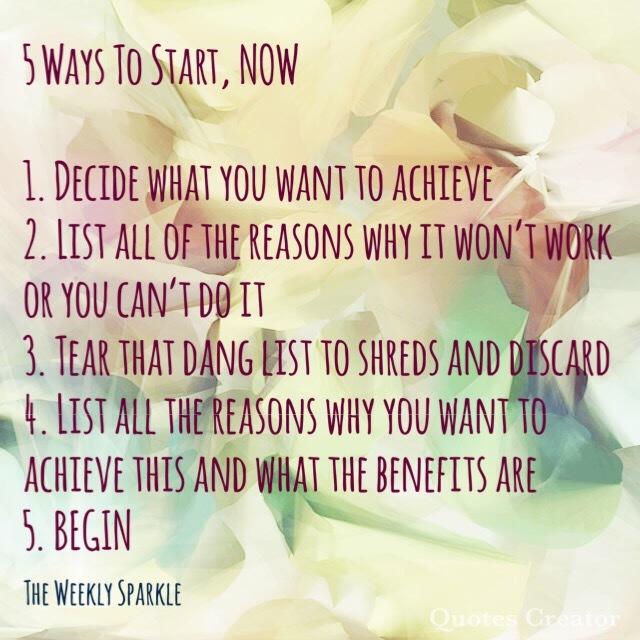 Here are 5 Steps I’ve created on how to start anything you want in your life, NOW. Listen, my own worst enemy and the voice that talks me out of things I want to do is my own mind and negative self talk. Have you tried before and failed? Do you lack self-confidence? Has someone told you you’re unable to reach your goal? SO WHAT. This is not the first time I’ve run down this list of ways… and I’m positive I will have to run through it numerous times until I feel that I’ve made it to where I want to go. So take it from someone who is beginning now… you can too. Whatever your goal is, whatever you want in life, the only one truly holding you back, is you. What is it in your life that you can start now? I’d love to know!